Hormones and Skin: What’s Going On? In the skin, estrogens, effect skin thickness, wrinkle formation amd skin moisture. Estrogen can incrase glycosaminoglycans (GAG’s) such as hyaluronic acid, to maintain fluid balance and structural integrity. They can also increase collagen production in the skin, where they maintain epidermal thinkness and allow skin to remain plump, hydrated and wrinkle free. In our culture, menopause in frequently seen as a God’s will. But some of them seen in a negative light as somthing that requires medical attention. So what accurs on the skin during perimenopause the transitional period before menopause and after menopause ? As discussed, estrogen play a major role in the collagen and elastin network of the skin. Losing estrogen means losing dermal collagen production. 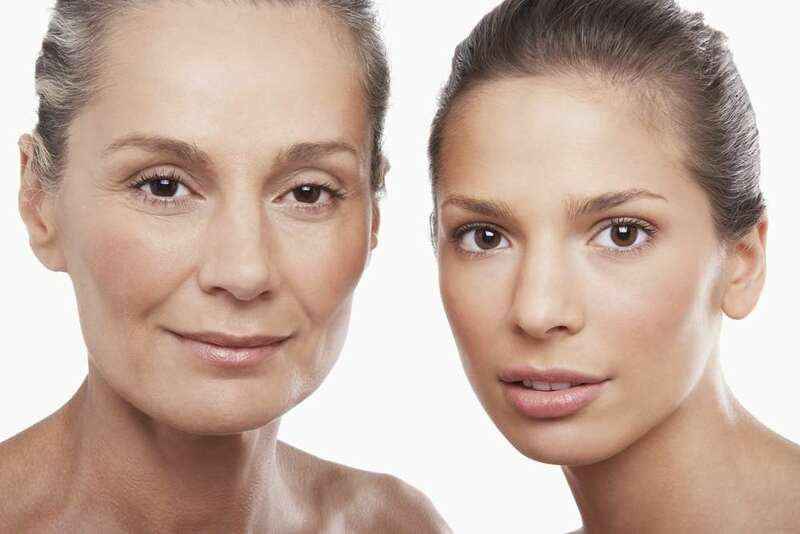 So, skin thins out, loses elasticity and sets the stage for wrinkle formation. This is a sensitive time in a woman’s life, and it is imperative to treat the aging female client undergoing this hormonal transition with respect and understanding. Since collagen production is drastically affected during hormonal loss, it is impressive to use ingredients that boost collagen production in the skin. Starting a maintanance programme in your early 30’s is the biggest investment you can make for your skin. There is an innovation comes from “The Land of the Morning Calm”, South Korea. With basic clinical study and many patents, they create a compound herbal extract. Known as folklore traditional medicine in korea, EstroG-100 could help to maintain and boosting estrogen level in human body instead of increasing amount of estrogen. EstroG-100 works through ALP (alkaline phosphatase), they help to maximize estrogen performance in spite of the amount of estrogen is limited. By maximize your estrogen’s performance, the all problem we talk in advance could be avoided. Not to be afraid of the sun anymore! Seberapa Buruk Akibat LDL Teroksidasi? Seberapa Pedulikah Anda Pada Masa Menopause? Adakah bahan alami yang mampu mengatasi masalah kulit secara menyeluruh?